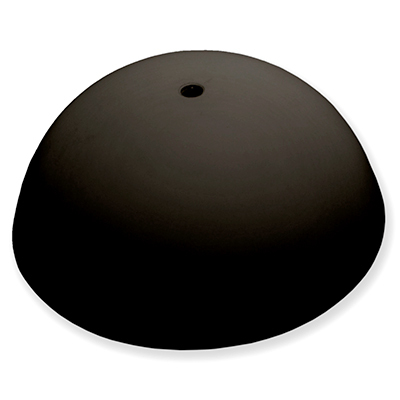 Ceiling rose Mini size of 125 mm in diameter creates a sleak and discrete solution in your ceiling. Works good with small pendants but still got enough space for extra cable inside the cup. 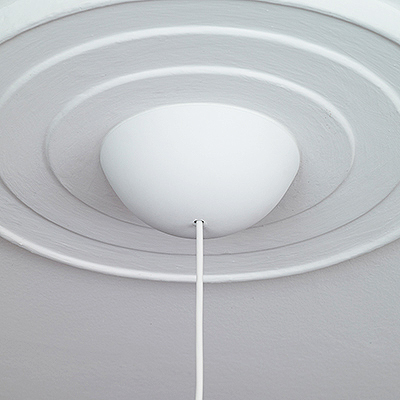 CableCup differ from all other ceiling roses on the market due to it’s soft material which makes it possible to turn inside out. 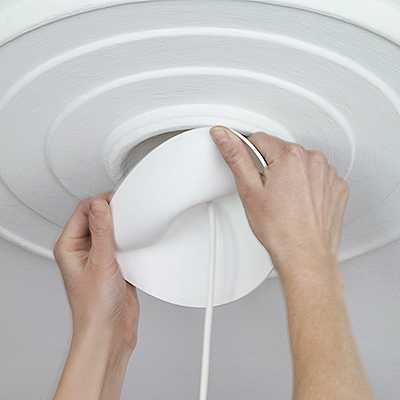 The straight forward mounting procedure and accessibility to the cables makes this ceiling rose very easy to use and could really reduce the time spent trying to get your pendant lamp looking good. 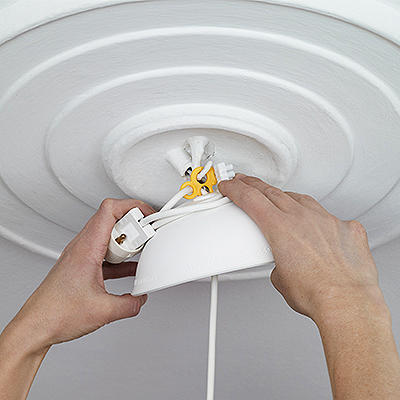 CableCup works in any type of ceiling. Perfect for those attic conversions, under the stairs or just anywhere else with a slanted ceiling. Watch our Youtube Video on how to change from your old Canopy to your new CableCup – Canopy. With CableCup, installing a lamp couldn’t be easier and the results are always perfect. Its discrete design doesn’t draw attention from the lamp. Instead it contributes to the perfect whole. 1. Secure the cable in the hanger and hang it on the hook. 2. Coil the cable in the CableCup and then fold it against the ceiling. 3. Finished! Your lamp will now sit tight to the ceiling and never slip down.